For the past year, we’ve been working hand in hand with the design firm Levesque Creative to develop and launch our brand new website. We would like to express our deep gratitude for Levesque Creative’s primary, Julie, who guided us patiently through the design process and delivered a uniquely designed website that not only tells the user our story, it also shows who we are as a company and what we stand for when it comes to our craftsmanship and high standards for being one of the foremost handmade picture frame companies in the U.S.
An easy to use website that is fully optimized for both mobile and desktop platforms. 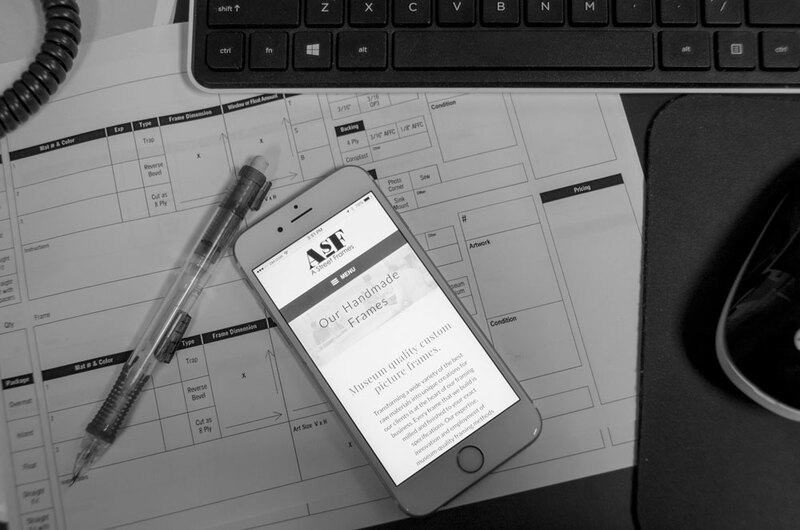 We promise you that whatever device you view our site on, it’s going to function well and look amazing. We’ve added tons of new photos not just of our frames, but samples of some of the many different finishes we carry and of our frame making process as well. We plan to add lots more photos in the future, so stay tuned! And for our frame shop clients, you’ll find our complete catalog here: it’s full screen expandable, easy to use, and searchable by frame profile or style – we hope you like it as much as we do. Photography: almost every photo you see on the site was done in-house by either Linna Dean or Liz Levitt, two of our Cambridge designers who are talented photographers in their own right. Corner Samples: The corner samples you see in Our Handmade Frames sections were made, brand new, specifically to feature on the site. Framed artwork: The artwork you see at the beginning of Our Handmade Frames, was chosen and framed with a mind to show off what each style of frame can do for the right piece of art. The two photographs that are in this section were taken by our aforementioned talented designer, Linna, who holds a Masters in Photography. The framed map you see came from local map shop Wards Maps. 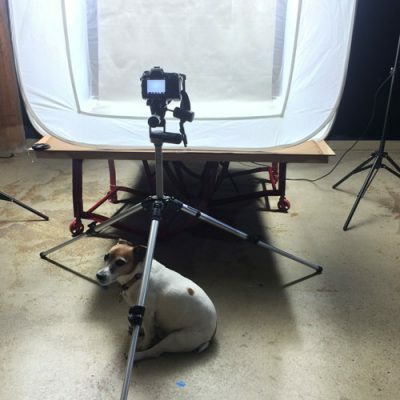 Almost every employee had their portrait taken, including our mascot, Hubie, one of the best shop dogs around. Some portraits are a little more “causal” than others for no other reason than we like to have fun at work. You’ll also see a group photo of all us in front of our Cambridge headquarters, taken on a cold March morning. We’d like to thank Kristin Paton of Kristin Paton Interiors for letting us take her photo during a design session in Cambridge and the same to Abigail Ogilvy of the gallery by the same name at SoWa, for the shot taken in our SoWa showroom. We invite you to spend some time looking around and getting familiar with the look and feel of our new website. We hope you are just as excited and happy with it as we are. Be sure to also follow us on Instagram, Facebook and Twitter.